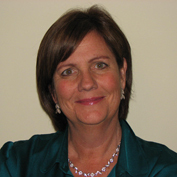 Patricia O’Connor, RN, MScN, CHE, FCCHL, is the lead clinical faculty for the Canadian Foundation for Healthcare Improvement’s Partnering with Patients and Families for Quality Improvement Collaborative (2014-16), supporting 22 teams across Canada. Formerly Director of Nursing at the MUHC, Ms. O’Connor is an Associate Professor in the Ingram School of Nursing at McGill, a Certified Health Executive, and Past President of the Academy of Canadian Executive Nurses. She has completed fellowships with the Canadian Foundation for Healthcare Improvement (EXTRA program), the Canadian College of Health Leaders (CCHHL) and the U.S. Commonwealth Fund. In 2012, Ms. O’Connor was recognized as one of the Top 8 Women in Business in the Healthcare Sector in Quebec, and in 2014, she was awarded the CCHL National Nursing Leadership Award. Her current efforts are focused on engaging patients and frontline staff in the re-design of care delivery systems, and in supporting evidence-informed practice and administration. In 2012, Ms. O’Connor was recognized as one of the Top 8 Women in Business in the Healthcare Sector in Quebec, and in 2014, she was awarded the CCHL National Nursing Leadership Award.